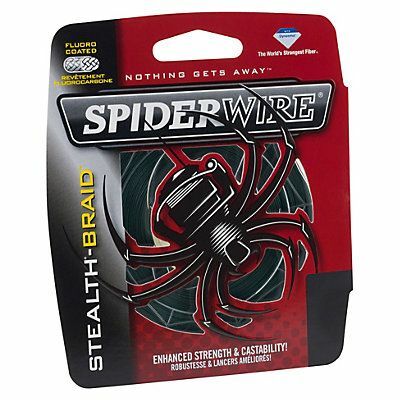 SpiderWire Stealth® is made from Dyneema®, The World's Strongest Fiber! Constructed to provide ultimate strength with the thinnest diameter for smooth and quiet performance. The no stretch properties of Dyneema PE fibers provides incredible sensitivity to instantly detect bites and structure. New and Improved! Up to 30% Stronger! Unique package with thin profile - Less Weight! Less Waste!